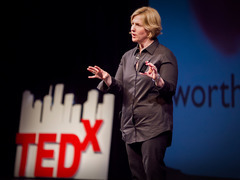 Brené Brown: The power of vulnerability As the pair sat down for an in-depth discussion on Super Soul Sunday — part one of which aired last Sunday, with part two to air next Sunday — they excitedly talked about many of the concepts which Brown raised in her classic TED Talk, “The power of vulnerability.” One interesting moment came when Brown shared a counterintuitive thought on what scares us the most. In fact, says Brown during the first part of this intervie, fear seems to be an ever-present part of our experience. And stay tuned to the Oprah Winfrey Network this Sunday, March 24, at 11am (EST) to see part two. When Oprah said “we are Soul-mate”, and later at the end, a “me too”, to caption Brené’s expression, sounded a little fake. 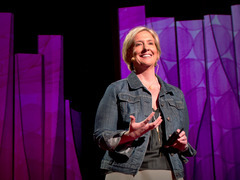 The truth is, I Love Brené Brown. Thanks to OWN. Pingback: The Commitment Project » Do things ever seem to be going too well?